to the wedding date to secure the time for your special day. 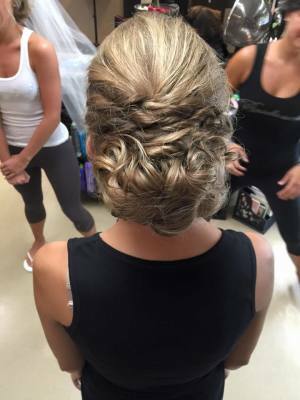 Bridal Trials are highly encouraged to ensure you are satisfied on your special day! $200 on site charge per stylist for bridal hair. Special Occasion Styles start at $75. A bridal trial is highly recommended. The trial will be paid in full the day of the trial. Parties of 4 or more, the bride will be complimentary on the day of the wedding as long as they have paid for a trial. 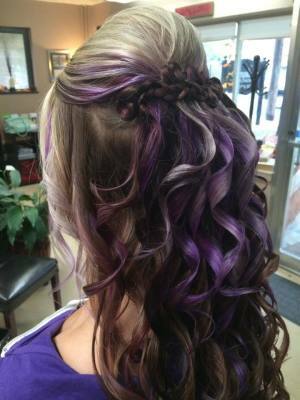 On Site bridal hair style starts at $95. On Site bridal make-up begins at $65. On Site Bridal fee and 50% deposit of total service is due 2 months prior to the wedding date.